58 Lucy Meets the Burtons September 14, 1970 Richard Burton, Elizabeth Taylor; This was the highest-rated episode of the series. 53 Lucy and Sammy Davis, Jr. September 28, 1970 Sammy Davis, Jr.
61 Lucy's Hawaiian Vacation [2/2] February 21, 1971 Vivian Vance; Last regular appearence of Desi Arnaz, Jr.
96 Kim Finally Cuts You-Know-Who's Apron Strings February 21, 1972 This was Lucille Ball Production's pilot for The Lucie Arnaz Show. 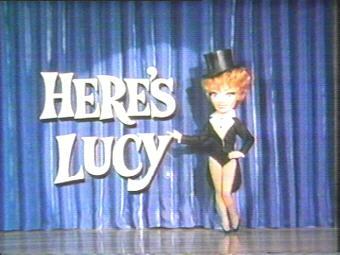 120 Lucy and Harry's Memoirs March 5, 1973 When this episode was filmed, Lucille Ball still hadn't decided to continue Here's Lucy for a sixth season. It was conceived as the last episode.